Lakefield Camp International welcomes campers for an unforgettable summerof learning, recreation, and friendship in the beautiful Kawartha Lakes region.Operating on the stunning grounds of Lakefield College School, our camp offers students a variety of programme options. Campers take advantage of modern classrooms, well-equipped athletic facilities, expansive playing fields, and direct waterfront access. Sports and arts programming may be combined with General English instruction or one of our other innovative programme options. Select optional excursions are offered for an extra fee. Excursion schedule depends on session dates and duration. All excursions are fully supervised by camp staff and include transportation, admission costs and meals, as required. Trips may be paid for upon arrival at camp or pre-paid to the representative prior to arrival at camp. Clients wishing to pre-pay for Optional Activities should indicate this at time of booking. We offer 1 full day trip to Toronto every 3 weeks. For anyone who has never been away to a summer camp before, Lakefield offers the ideal first-time experience. Comfortable and modern facilities are sure to please even the most sophisticated participants, while the extensive fields and natural waterfront provide the perfect backdrop for a truly Canadian summer camp experience. The extensive grounds of Lakefield College School include a calm lake with boathouse and waterfront facilities, playing fields, and comfortable residence accommodations. The lake is your swimming pool; the fields are your playgrounds. Well maintained, the facilities include fields, courts, and classrooms in a clean, safe, natural environment. Campers live in residence houses in a double or triple room with washroom and shower facilities on every floor. Rooms include a bed, desk, chair, dresser and wardrobe for each camper. All bed linens are provided, however, campers must bring their own towels and toiletries. We try to ensure your roommate is a camper of a similar age but different nationality. Campers of different genders live in separate houses. Safety is our top priority so staff live on the same floor with the campers providing constant supervision. We provide three meals plus a healthy snack each day. Meals are served in the dining hall with various buffet stations offering a wide choice of salad and sandwich options, in addition to hot meals. Meals are a lively time and campers are encouraged to join in with the songs and cheers that regularly take place. Our meals are cooked on-site by professional staff and meet rigid nutritious standards. Each day is divided into 5 periods, plus a REC period. Campers participate in their chosen activities during the 5 periods - 3 in the morning and 2 in the afternoon. All activities are fully instructed and taught in English. The recreational or "REC" activity period is also offered daily, allowing campers to take part in their favourite activity or in a specialized activity that is only offered during this time. These activities are supervised, but not necessarily instructed. A different set of activities will be offered daily. Campers at Lakefield have many options. For those campers who want to improve their English, they may choose to take English as a Second Language (ESL) lessons. ESL classes comprise two or three of the five daily activity periods, depending on whether you choose 10 or 15 hours per week. You can then choose any other two or three activities. The general English experience is the choice for most international summer students. This option provides classroom instruction in speaking, listening, reading and writing, with a focus on helping students of all proficiency levels to improve in their fluency and accuracy of speech. Students of all levels of English ability are invited to take part in “English through Drama” as an alternative to standard ESL classes. This programme aims to build confidence and improve public speaking and pronunciation skills in a supportive and creative environment. Making use of Lakefield's theatre facilities, students will have an active role in the production of weekly drama performances. English through Drama is an excellent alternative to regular ESL for students of any language level that want to improve their skills. Drama has been shown to increase confidence and enhance public speaking and pronunciation skills. For students who choose to take English through Drama, two of the five activity periods are dedicated to it, with their choice of activities accounting for the other three periods. Unique to Lakefield Camp is our exciting and educational Wilderness Education Programme (WEP). The goal is to involve and educate students using the unique outdoor classroom that Lakefield School has to offer. It's ideal for students who want an alternative to language lessons. WEP students study environmental best practices, while gaining an understanding about local geography, native Canadian traditions, and basic outdoor survival skills. All instruction and conversation is conducted at a high intermediate level of English, offering a more practical approach to language improvement. For students in WEP, two of the five activity periods are dedicated to it, with their choice of activities accounting for the other three periods. Learn by doing with CISS Activity Camp! This programme gives students an opportunity to join our world-class summer camps with all five daily periods devoted to water and land sports, arts, music and skill-building exercises. Each activity programme is divided into weekly modules; students start out with a basic introduction and learning the safety rules. As the week progresses, they develop their skills in each of their chosen activities. The Leader in Training (LIT) programme puts the concept of "leadership" into motion by providing participants with a combination of theoretical knowledge and practical hands-on experience in a camp setting. This programme is ideal for participants who are 17 years old and who possess a high-intermediate to advanced level of English. Morning lessons focus on examining theories, models, and meanings of leadership. LITs learn various techniques used by educators to lead and support younger children, including strategies for different scenarios that apply within a camp setting. Afternoons provide LITs with an opportunity to apply their new knowledge, as they assist camp staff in leading various camp activities and organizing different events. Participants leave the programme with new skills and experience that will serve them for a lifetime. Campers select their weekly activity choices from the list below. All activities are supervised and instructed in English. Each activity period lasts for 1 hour (60 minutes) daily. Campers have the opportunity to participate in different REC activities on a daily basis. These REC activities are supervised but not instructed. Does my child need a study permit or a visa to enter Canada? Do I need to purchase out-of-country emergency travel medical insurance for my child? 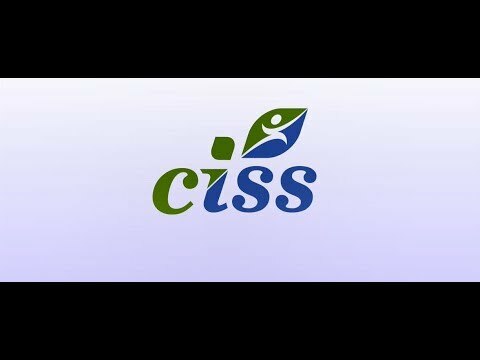 CISS provides emergency medical and dental insurance to a maximum of $100,000 CAD for international campers attending a CISS summer programme. Campers coming from the USA, however, are responsible for their own out-of-country insurance. Canadian campers are covered by their provincial health-care plans. For international campers, and Canadian or US campers who have requested transfer to/from the airport - staff from Lakefield Camp will meet your child in the arrivals area at the airport. Staff hold signs showing the name of the camp. Students should look for this sign and remain in the arrivals area until he/she has met the staff member. Students travelling with a group and a group leader should remain together. The group leader will assist the students to find the staff member. If your child is registered as an Unaccompanied Minor (UM), the person that CISS has designated to you during the UM registration will be there to personally receive your child. Our staff is trained to handle all medical emergencies. Lakefield Camp has an on-site health-care provider. The camp is also in close proximity to hospitals and clinics. CISS will inform both you and your representative (if applicable) of any emergencies that arise and the details/treatments involved. Yes. Please download the Lakefield Camp Clothing List (PDF) here. IMPORTANT - the gymnasium and climbing wall in Hadden Hall at Lakefield will be open for use. Due to its specialized surface, the school requires that indoor-only shoes be worn in the gym. Campers must bring with them a pair of sport or running shoes dedicated for indoor use only. Additional outdoor shoes as well as water shoes should be brought for other sports and outdoor recreation.